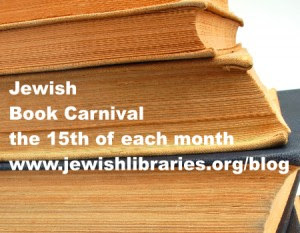 It is my pleasure to host this month's Jewish Book Carnival, a selection of book reviews; interviews with authors, publishers, librarians and others about Jewish books; and essays about Jewish books and literature. The purposes of the Jewish Book Carnival are to build community among bloggers who feature Jewish books on their blogs and to promote Jewish reading, and fields supporting this reading such as publishing and library services. At Book Q&As with Deborah Kalb, Deborah talks with author Barbara Stark-Nemon about Barbara's new book, Even in Darkness, a novel based on her great-aunt's concentration camp experiences. At The Best Chapter, Diana Bletter interviews Michelle Brafman on her first novel, Washing the Dead, about how participating in a tahara ritual helps the narrator turn her life around. The Fig Tree Books blog celebrates what would have been Saul Bellow's 100th birthday (June 10th) with some notes gleaned around the Web and three writers' discussions of Bellow novels. Erika Dreifus shifts from the page to the screen as she recommends "Above and Beyond," a documentary about the (mostly) American pilots who helped Israel win its independence. Find her review at her blog -- My Machberet. Photojournalism and romance are the topics of interest at Lorri M. Writings and Photography, where Lorri reviews Waiting for Robert Capa by Susana Fortes. Heidi at The Book of Life blog hosts a podcast interview with filmmaker Ian Rosenberg about his documentary "Welcome to Kutsher’s," a loving tribute to the last Catskills resort. At the Whole Megillah, Barbara Krasner interviews Tracy Newman about her new picture book, Uncle Eli's Wedding. Finally, I left the comfort of my reading spot and ventured into Jerusalem for Hebrew Book Week and The Festival of Light. You can "picture" it at Life Is Like a Library. I'd like to thank all the contributors for sharing, and for making my first time hosting much less daunting than I thought it would be. One of the benefits: I got to see all these great blogs first! Lovely assortment of links! Thank you for hosting. Thank you for hosting, Chava! When I host Poetry Friday, it's a big commitment! This post was shared on the Haveil Havalim blog. Thanks so much for hosting us, Chava!